R+L Carriers presents an exciting opportunity to support achievement in your community. Our Hometown Showcase events will deliver inspiration, scholarships and career opportunities to students across America. Contact us to learn how we can support success at your school and in your community by offering world-class shipping solutions. 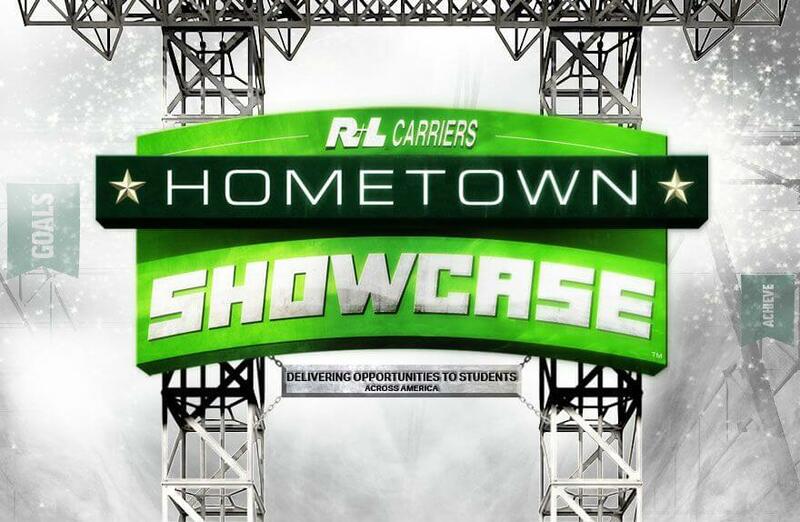 R+L Carriers Hometown Showcase is interested in partnering with you to provide opportunities for success in your school and your community. We’re offering support for your booster club, scholarships and on-site visits to highlight the many careers available including technology, logistics, sales, mechanics, professional drivers and more. The R+L Carriers Hometown Showcase is on the road and visiting communities across the country. We’ve been lots of places, but we’re just getting started! Want to bring Hometown to your community? Contact us and tell us where to go next! See what people are saying about the Hometown Showcase! It is always exciting when the Hometown Showcase visits our campus. Students line up for a chance to visit the interactive vehicle. R+L Carriers does a fantastic job and presenting career options in the industry. I want our students to no longer look at industry shallowly. Thanks to R+L Carriers, we are chipping away at the surface and diving deeper into the world of work and showing students that many career pathway opportunities are available within one industry, and the path to career success is not always through a traditional academic approach. You are a stellar example of how a local business and a school district can create a partnership that benefits everyone involved! Overall, I feel that the visit was an excellent experience. The presenters did an amazing job including/captivating their audience during the presentation. Our students were excited about the opportunity to experience the activities in the truck. I hope we can work together in the future to benefit R+L and the students at Laurel Oaks. I would like to first start off by saying THANK YOU for hosting the Hometown Showcase Event and partnering with Waynesville High School, in Waynesville, Ohio. The event was outstanding and your company was very organized and impressed us with everything. We are very grateful for the donations and the scholarship opportunity that will be so appreciated by one of our senior students this school year! At that very football game I ran into a parent that was telling me, as well as the many students standing around listening, that he actually drives for R & L. It was a very positive conversation! School administrators, parents, students, let us know if you’d like details about this exciting opportunity or about our world-class shipping solutions!